It was a beautiful weather in East Granby, Connecticut this weekend for the New England Automotive Recyclers 3rd Annual Trade Show. Hosted at Mark’s Auto Parts and Recyclers, attendees enjoyed two days of informative educational sessions, exclusive one-on-one time with over 45 vendors and exhibitors. The trade show kicked off on Friday afternoon with a series of Hollander, Hotlines and Car-Part workshops, followed by a reception for vendors on-site. On Saturday, attendees had the opportunity to hear from Craig Van Batenburg of ACDC (Auto Career Development Center) about removing electric vehicle lithium ion battery packs. Batenburg also presented later in the afternoon on how to safely dismantle hybrid, plug-in and electric vehicles. Mike Fletcher of Ebay Motors led a thought-provoking session on how to expand automotive recycling businesses through electronic commerce, highlighting key trends in the auto parts and accessories marketplace such as the increased utilization of mobile and tablet devices. Everyone in attendance enjoyed a historical overview of the automotive recycling industry provided by Terry Lindell, Director of Advanced Development for Hollander, who discussed critical developments within the professional automotive recycling industry over the past 15-20 years. Lindell focused on the important role that regional connections, such as business development sharing groups or distribution/transportation networks, play in today’s ever-increasing competitive marketplace. Recyclers, their employees and family members all took a break for a gourmet lunch, featuring shrimp cocktail, filet mignon, and assorted desserts. Yard owner Mark Oquisanti was emcee as multiple raffle drawings were held and prizes distributed. Later in the afternoon, industry speaker Jim Counts gave a revealing presentation to a packed room on sales myths and tips for how to run a profitable business. 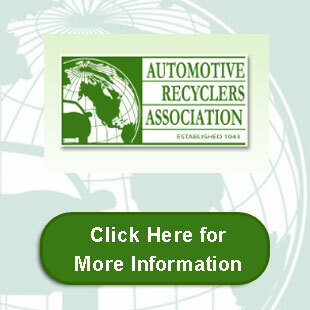 Thanks to all VARA members who were able to attend this event and support all New England auto recyclers.